The prickly pear I sampled last week was a complete disappointment. 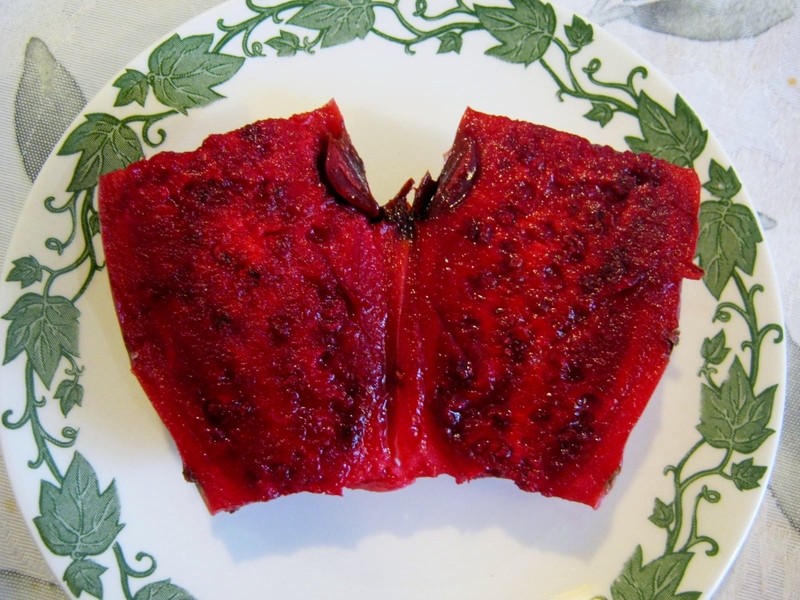 I’m thankful I read Melanie Mendelson’s account of eating a prickly pear in her “Melanie Cooks” blog, How to eat a Prickly Pear, as her information was exactly what I experienced when I cut into my prickly pear. The fruit was a gorgeous color and had a bit of a sweet scent. I also could see why Melanie said she wouldn’t buy another one; the fruit was FULL of seeds. I scooped out a bit of flesh with the tip of the spoon. I found it uneatable. 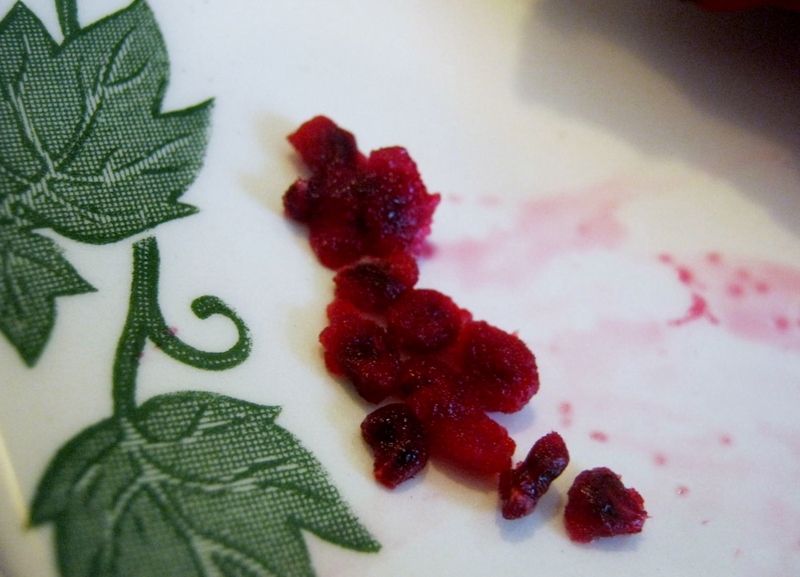 The half teaspoon measure of fruit was filled with six seeds, maybe more. 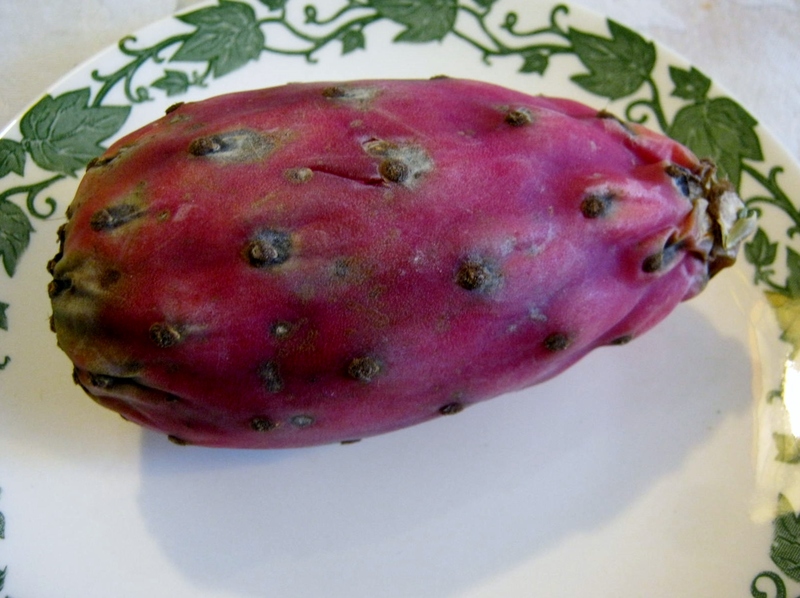 I won’t be buying this fruit again, but I will try growing a prickly pear plant from the seeds to have something to show for the $1.49 I paid for it. The recommended way to start these seeds is to soak in citrus juice first to break down the hard shell. Good to know so I won’t waste my money. This is why I won’t eat pomegranates – I refuse to chew on the seeds and the flesh to seed ratio is too small for the expense and trouble. Thanks for the info…have you read any way to deseed it?…I might check it out…Interesting! That is what I was thinking, Kathy – dessert sauce (it might be good over vanilla ice cream) or jam. 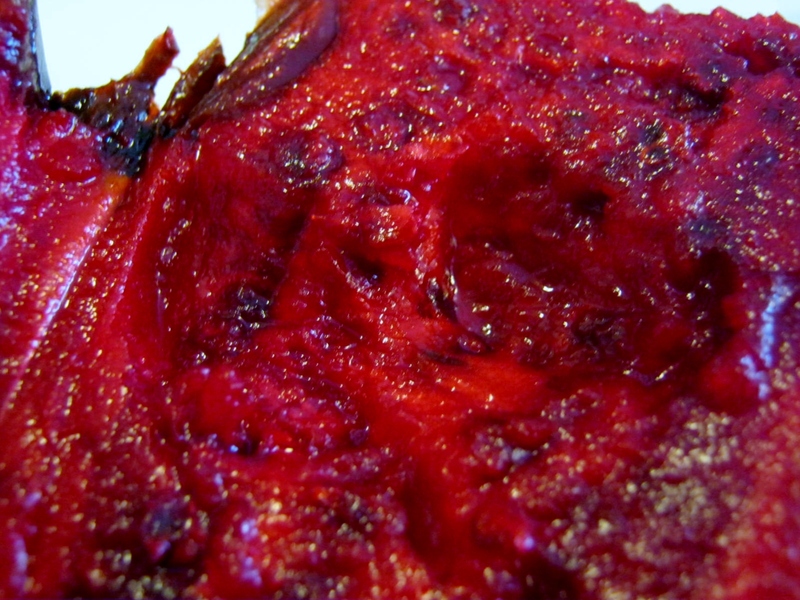 Put the cut up flesh into a wire mesh sieve, over a bowl, and press it out with a rubber spatula. Perhaps I am lazy but I’ve always preferred to eat fresh fruit out of hand, less mess to clean up. BTW, what did the pear’s taste remind you of? Similar to a berry? It tasted a bit like a mild strawberry. The ice cream idea is a good one. Thanks Jane. I have a few posts to get caught up on here – and shall be back later to do so – but glad I saw this one – too bad this was not good – looks like it would be packed with stuff we need – and well, love your photos of the sampling…. hmmm – very interesting fruit for sure.